Hi everyone! Valentine’s Day is the perfect excuse to get crafty and make something cute for someone that you care about. This idea is perfect for a boyfriend, or can be turned into a silly kind of gift for your girl friends. When I was in high school, our school would sell roses that you could send to a boyfriend or girlfriend with a personalized message. So instead, my friends and I would all send each other the roses with cute notes talking about fun memories or our friendship in general. Making something cute for a friend on Valentine’s Day is a great way to remind them that you care and can be a huge cheer-up for someone who is bummed about the holiday. This project is so easy too and not expensive! Okay, so you can find EVERYTHING for this project except for the nerds in the dollar section of Target! I found the nerds at Walgreens. 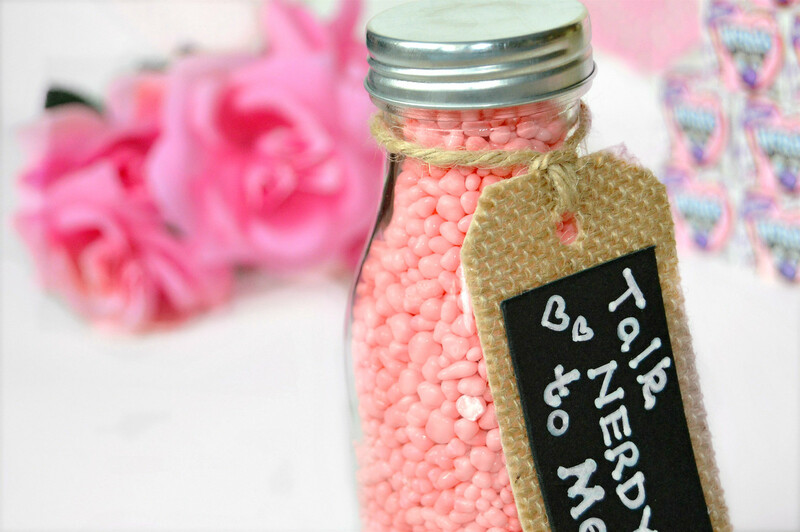 Pour as many nerd packages as it will take to fill your jar. 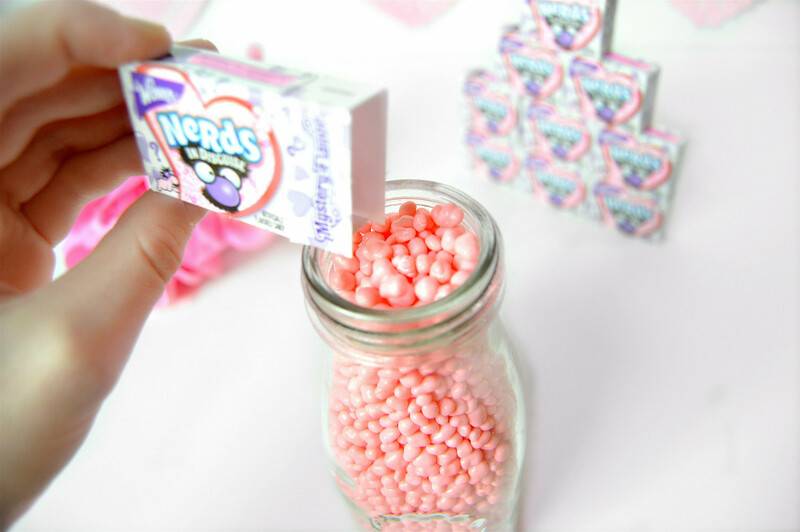 If you use the dollar jar from Target you will have some nerds left over. (What a shame right 😉 you’ll just have to eat them all!) Close the jar with the lid. 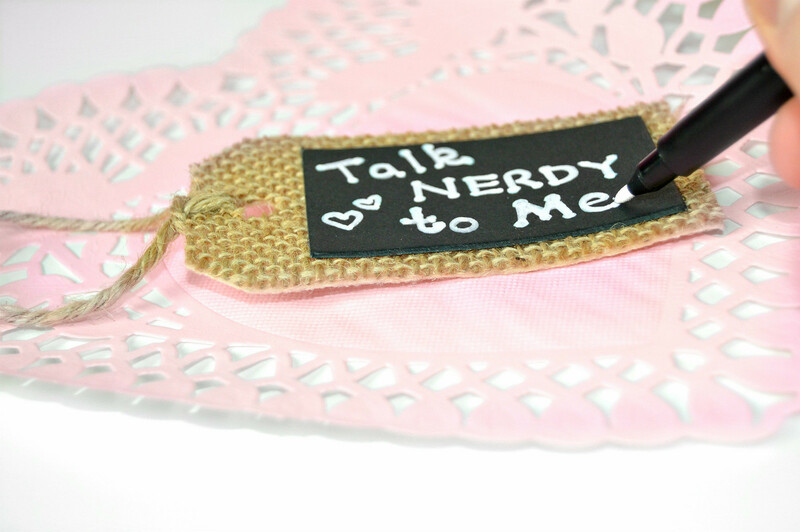 Uncap your chalkboard marker and begin writing your message on your burlap tag. 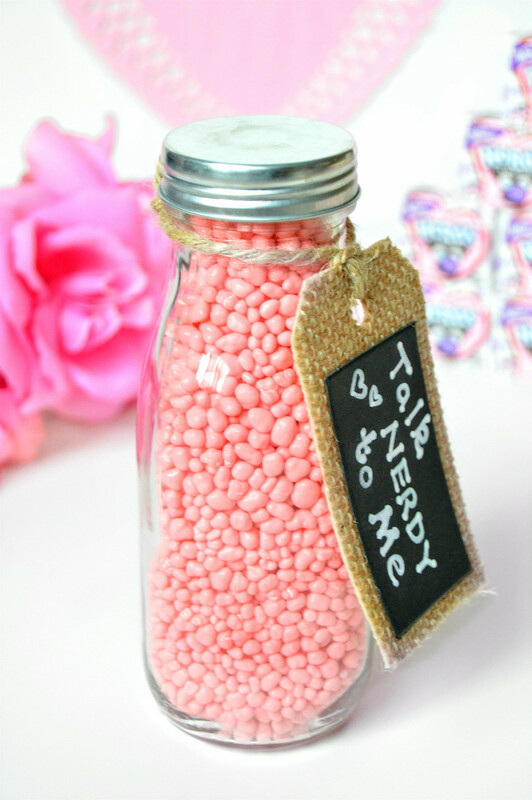 Tie the tag around your jar and wha-la your’e finished!